Following the overwhelming success of the second Robert Downey Jr. film blockbuster, Airship 27 Productions is pleased to present a brand new mystery suspense novel starring the Great Detective; Sherlock Holmes – The Baron’s Revenge by Gary Lovisi. In 1902 Sir James Damery enlisted the aid of Sherlock Holmes to prevent the daughter of an old friend from marrying a womanizing Austrian named Adelbert Gruner who was suspected of murdering his first wife. Dr.Watson chronicled the case as “The Adventure of the Illustrious Client.” By its conclusion, Gruner was exposed to the young lady when Holmes came into possession of an album listing his many amorous conquest. Then a former prostitute mistress took her own revenge by throwing acid in his face and permanently disfiguring him. Holmes believed the matter concluded. He is proven wrong when a hideous murder occurs rife with evidence indicating the Baron has returned. Soon the Great Detective will learn he has been targeted for revenge in a cruel and sadistic fashion. Not only does the Baron wish his death but he is obsessed with causing Holmes emotional suffering. He desires nothing less that the complete and utter destruction of the Great Detective in body and soul. Now Gary Lovisi spins a fast paced tale of horror and intrigue that is both suspenseful and poignant, all the while remaining true to Arthur Conan Doyle’s original stories. 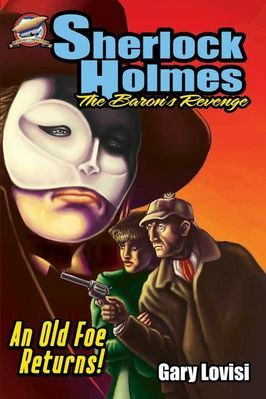 “The Baron’s Revenge” is a thrilling sequel to a classic Holmes adventure fans will soon be applauding. Airship 27 Productions – Pulps For A New Generation! We invite you to visit our new website. Here you will find two links. One to our PDF digital store were all our titles are on sale for only $3 as downloads. Please consider registering an account which will put you on our Newsletter mailing list. The second link is to our Indy Planet pages, where you can purchase Print-On-Demand hard copies of our titles for $14.95 (plus shipping and handling). At present we have our latest titles available here and hope to have our entire catalogue added by the end of the year. Thanks for your continued support. After months of hard work, Rob Davis, the Art Director has finished work on the new official Airship 27 Productions website. 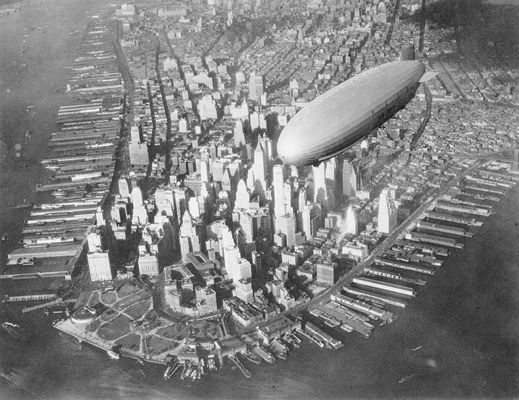 Titled the Airship 27 Hangar, the site features two all important links. 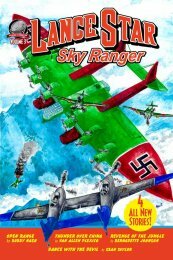 The first brings visitors to the PDF store where all Airship 27 pulp titles are available for $3 dollars as PDF downloads for their PCs or various e-readers. The second brings readers to the Airship 27 Print-On-Demand shop at Indy Planet. Indy Planet is a division of Ka-Blam, one of the leading print-on-demand operations in the publishing world today. Reader questions continue to enter arrive at the Table Talk offices. So, this week, Barry Reese, Bobby Nash and Mike Bullock take some time to respond to two readers and their great questions. This week’s questions come from Mark Holmes and C William Russette. Thanks for writing, guys. Have a question you want the Table Talk Trio to answer? Send it to newpulpfiction@gmail.com with "Table Talk Question" in the subject line. Also, let us know if you want attribution for the question, or you'd rather remain anonymous. Please, keep the questions pertinent to the creation of New Pulp and/or writing speculative fiction in general. We'll get the questions worked into future columns ASAP. New Pulp Author Bobby Nash was interviewed by fellow New Pulp Author, Sean Taylor, over at his Bad Girls, Good Guys, and Two-Fisted Action website.